Create a sleek and harmonious look with our perfectly coordinating living furniture. 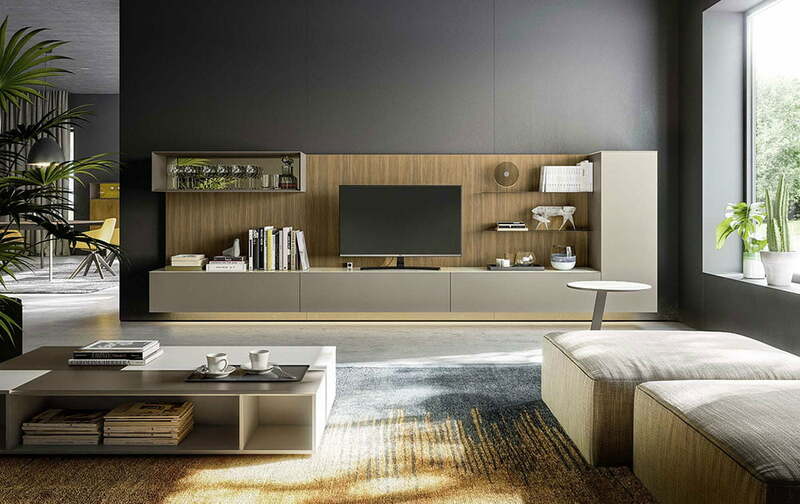 The Krieder media unit collection features the very best in designer TV and media units. All of our media units are handmade in Italy by skilled craftsman and produced to the highest quality with the finest materials including glass and wood. Our modular shelving units & bookcases combine perfectly to create a stylish solution for all your storage needs. Use multiple units to create an entire library & media centre or bookshelves and glass bookcases. Our collection of luxurious freestanding or wall hanging sideboards, to satisfy all storage needs. The vast range of colours and finishes ensure modern elegance and individual style.